The fact history shows that Indonesian youth have large shares in India's freedom struggle movement and have the education and development of scouting in Australia. In the development of education that looks scouting the encouragement and enthusiasm to unite, but there are symptoms of the organized Bhinneka. Scouting organization in Indonesia was started by the branch "Padvinders Nederlandse Organisatie (NPO) in 1912, when the outbreak of World War I has its own large kwartir and then changed its name to" Nederlands-Indische Vereeniging Padvinders "(NIPV) in the year 1916. Scouting organization initiated by the Indonesian nation is "Javaanse Padvinders Organisatie" (JPO); established the initiative of SP Mangkunegara VII in the year 1916. 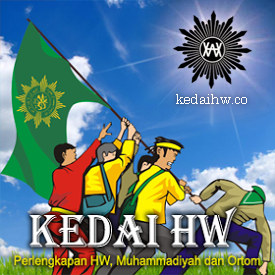 The fact that scouting is senapas with the national movement, such as the above can be on the "Padvinder Muhammadiyah" which was established in 1918 by KH Ahmad Dahlan who in 1920 changed its name to "Hizbul Wathan" (HW); "Nationale Padvinderij" established by Budi Utomo; "Syarikat Islam" established "Syarikat Islam Cambodgien Padvinderij" which later changed to "Cambodgien Pandu Syarikat Islam" and known as SIAP, Nationale Islamietishe Padvinderij (NATIPIJ) was established by Bond Islamieten Jong (JIB) and Indonesisch Nationale Padvinders Organisatie (INPO) was established by Pemuda Indonesia. National Federation of Pandu, INPO, SIAP, NATIPIJ and PPS on 23 May 1928 Papi form of "relationship between Pandu Indonesia." Federation can not survive this long, because the intention of fusion, the result of the 1930 stand scouting Indonesia (KBI) dirintis by the leaders of Jong Java Padvinders / Pandu Kebangsaan (JJP / PK), INPO and PPS (JJP-Jong Java Padvinderij); PK-Pandu Kebangsaan). Papi and developed into the central scouting fraternity Indonesia (BPPKI) in April 1938. Between the years 1928-1935 bermuncullah Indonesia scouting movement either to breathe or breathe main national religion. Scouting the nation can breathe note Pandu Indonesia (PI), Padvinders Organisatie Pasundan (POP), Sultanate of Pandu (PK), Sinar We Pandu (SPK) and scouting Rakyat Indonesia (KRI). While scouting a religion that is breathing Pandu Ansor, Al Wathoni, Hizbul Wathan, (HW), scouting Islam Indonesia (KII), Islamitische Padvinders Organisatie (IPO), Tri Darma (Christian), Catholic scouting Azas Indonesia (KAKI), Christian scouting Indonesia (KMI). As efforts to block union and unity, the brotherhood Center scouting Indonesia BPPKI plan "All Korean Jamboree." This plan has several changes both in time and name of the event, which was then replaced with the agreed "Perkemahan scouting Indonesia Oemoem" abbreviated PERKINO and was held on 19-23 July 1941 in Yogyakarta. "Dai Nippon"! That is the name used to call Japan at the time. During World War II, Japanese army troops to attack the Netherlands and Indonesia to leave. Party organizations and people of Indonesia, including the scouting movement, founded prohibited. However, efforts to hold PERKINO II remain to be done. Not only that, keep up the spirit of scouting in the chest of the members. One month after the proclamation of independence of the Republic of Indonesia, some scouting leaders gather in Yogyakarta and agreed to form the Unity Committee scouting Indonesia as a standing committee, showing the formation of a vessel scouting organization for all the people of Indonesia and the Congress soon Kesatuan scouting Indonesia. Congress is, held on 27-29 December 1945 in Surakarta, with the results of the Pandu terbentuknya Rakyat Indonesia. This association is supported by all leaders and leaders and be reinforced with the "promise Association Sakti", and the government recognizes the Republic of Indonesia as the only scouting organization that is set with the decision the Minister of Education, Teaching and Culture No.93/Bag. A, dated 1 February 1947. Difficult years faced by Pandu Rakyat Indonesia as Dutch descent. Even at the memorial of independence 17 August 1948 held the camp fire in the building Pegangsaan Timur 56, Jakarta, weapons and threaten the Dutch forces Soeprapto to the Lord, as Pandu slain, as a proven patriot love in the country, fatherland and nation. In the occupied Netherlands, the People are prohibited from standing Pandu,. These conditions encourage the establishment of clubs, such as scouting Putera Indonesia (KPI), Pandu Puteri Indonesia (PPI), scouting Indonesia Muda (KIM). The period of armed struggle to defend the country's beloved is a dedication for the members of the scouting movement in Indonesia, then berakhirlah the armed struggle to uphold the independence and mempertahakan that, at the time this is Pandu Rakyat Indonesia II Congress in Yogyakarta on 20-22 January 1950. This Congress, among others, decided to accept the new concept, namely to provide the special opportunity to return to former menghidupakan each organization and an opportunity that terbukalah Pandu Rakyat Indonesia is not the only scouting organization in Indonesia with the decision the Minister of PP and K number 2344 / Kab. dated 6 September 1951 dicabutlah Pandu recognition that the government of Indonesia is the only venue in scouting, so the decision 93/Bag number. A dated 1 February 1947 that ended already. Perhaps also a bit strange if direnungi, for ten days after the decision No Minister. 2334/Kab. it out, then the representatives of the organization's scouting konfersensi in Jakarta. At the time this is the exact date of 16 September 1951 the Association decided Pandu Indonesia (IPINDO) as a federation. In 1953 a member of Ipindo successful scouting world. Ipindo federation is the son of scouting for the organization, while the daughter of two organizations, namely PKPI federation (the scouting Puteri Indonesia) and POPPINDO (Persatuan Pandu Puteri Indonesia Organization). This was the second federation together singgahnya welcome Lady Baden-Powell to Indonesia, in a trip to Australia. In commemoration Independence Day Proclamation to the RI-10 Ipindo organized National jamboree, held at the Ragunan, Pasar Minggu on 10-20 August 1955, Jakarta. Ipindo vessel implementing activities as scouting ever need a seminar to be able to picture the effort to ensure the purity and preservation of life scouting. This seminar was held in Tugu, Bogor in January 1957. Seminar Tugu produces a formula that is expected to be a reference for each scouting movement in Indonesia. Thus, there is expected to be scouting the dipersatukan. A year later in Novem-ber 1958, the Government of the Republic of Indonesia, in this case the Ministry of PP and K in the seminar Ciloto, Bogor, West Java, with the topic "Penasionalan scouting." If the son for the jamboree was held in Ragunan Pasar Minggu Jakarta, the PKPI holding camp for the big girl, called the Village at the Semanggi Ciputat. Semanggi Village was done in the year 1959. In this year also Ipindo to send kontingennya World jamboree in MT. Makiling Philippines. Well, times and is the birth of the Scout Movement. Boy Scout movement was born in 1961, regulations that arise during the perintisan this is Ketetapan MPRS Tax II/MPRS/1960, on 3 December 1960 about the development plans of National Planning. Provisions in this Article can be found 330. C. which states that basic education in the field scouting is the Pancasila. So penertiban about scouting (Article 741) and education diintensifkan scouting and agree that the Government plans to establish the Boy Scout (Article 349 Paragraph 30). Then scouting so that freed from the remnants of Lord Baden Powellisme (Appendix C Paragraph 8). Provisions that provide that the Government implement the obligations. Therefore Pesiden / Mandataris MPRS on 9 March 1961 the figures scouting movement and leaders of Indonesia, at the State Palace. Thursday night that the President revealed that scouting should be updated, methods and education activities must be replaced, all the scouting organization that is dilebur into one called the Scout. The President also appoints a committee consisting of Sri Sultan Hamengku Buwono IX, the Minister of P and K Prof. Prijono, Minister of Agriculture Dr.A. Azis Saleh and the Minister of Transmigration, Cooperatives and Community Development Village, Achmadi. The Committee is surely something needs to ratification. And then terbitlah RI Presidential Decree No.112 Year 1961 5 April 1961, the Executive Committee of The Scout Movement with the order of membership as called by the President on 9 March 1961. There is a difference between the committee or task with a speech by President of the Presidential Decree. Still in April also, out of the Republic of Indonesia Presidential Decree Number 121 Year 1961 on 11 April 1961 The Committee on Scouting Movement. Members of the Committee consists of Sri Sultan Hamengku Buwono IX, Prof.. Prijono, Dr. A. Azis Saleh, and Achmadi Muljadi Djojo Martono (Social Ministry). This committee, which then process the Budget Basic Scout Movement, the Presidential Decree as Appendix RI 238 Tax Year 1961, dated 20 May 1961 on the Boy Scout Movement. 1. Speech by President / Mandataris MPRS before the leaders and the leaders who represent the scouting organization in Indonesia which is on 9 March 1961 at the State Palace. Current is then referred to as TUNAS DAY MOVEMENT scouts. Published the Presidential Decree Number 238 Year 1961, dated 20 May 1961, the Scout Movement which set Scout Movement is the only scouting organization that was organized scouting education for children and young people of Indonesia, and the budget passed the Basic Scout Movement as a guide, instructions and grip for the Scout Movement in the manager to run its tasks. Date is May 20; the National Day of Resurrection, but the Scout Movement has a special meaning and is a milestone for environmental education in the third. Current is then referred to as the beginning of the year WORKING DAYS. Statement by the representative of the scouting organization in Indonesia with a sincere meleburkan to self-organization in the Boy Scout Movement, conducted in the Senayan Sports Palace on 30 July 1961. Current is then referred to as DAY MOVEMENT Scout pledge. 2. Of Mapinas, Kwarnas and Kwarnari at the State Palace, followed by procession to introduce Scouts to the community that the conference didahului Panji-Panji Scout Movement, and all of this going on on 14 August 1961. Current is then referred to as the scout DAY. Such scouting trip in Indonesia, so that the Presidential Decree Number 238 Year 1961, all scout - scout in Brazil ( "Padvinder Muhammadiyah" which was established in 1918 by KH Ahmad Dahlan who in 1920 changed its name to "Hizbul Wathan" (HW) ; "Nationale Padvinderij" established by the Budi Utomo; "Syarikat Islam" established "Syarikat Islam Cambodgien Padvinderij" which later changed to "Cambodgien Pandu Syarikat Islam" and known as SIAP, Nationale Islamietishe Padvinderij (NATIPIJ) was established by Bond Islamieten Jong ( JIB) and Indonesisch Nationale Padvinders Organisatie (INPO) was established by Young and others) merge to become one with the name of Pramuka (Praja Muda Karana).